The Teacher Becomes the Student | CMV SocialMedia Inc.
My typical routine is to arrive at a venue, sign in and meet-and-greet at the school office, chat with the organizers and student tech teams, test my setup, watch as the students roll into the auditorium or gym and then launch into the presentation. Afterward, take some Q&A and answer questions with students wanting more specific tips and online ideas. But then January 8th, 2016, came and something changed with me. Actually, a lot changed with me. I was invited to speak with students at Judith Nyman Secondary School in the Peel District School Board. The VP had discussed with me the need to modify my presentation to facilitate a different level of learner and a wider scope of student. My experience that morning impacted me greatly and far beyond anything in quite some time. I began to say hello to the students as they arrived in the cafetorium but what I observed left me truly humbled; teachers and administrators extending a sense of love, patience and compassion toward their students that was deep, authentic and, to me, moving. I feel blessed and honoured to spend most of my days in schools where the concentrated development of academic, sports and other disciplines, scholarship preparation and the eventual achievement of meaningful career goals is expected. But the students and teachers of Judith Nyman showed me, more than anywhere else, humanity and humility, hope, encouragement, love and the fundamental and unconditional acceptance of a human being. I sat in silence in my car outside the school, thinking for a long while about the students and their families lives, early hopes and dreams, and their futures and opportunities that so many others simply breeze through, automatically. I thought about my own son who is athletic, focused and skilled to play baseball at the elite level. And I thought if life had turned in another direction how things could have been much different. 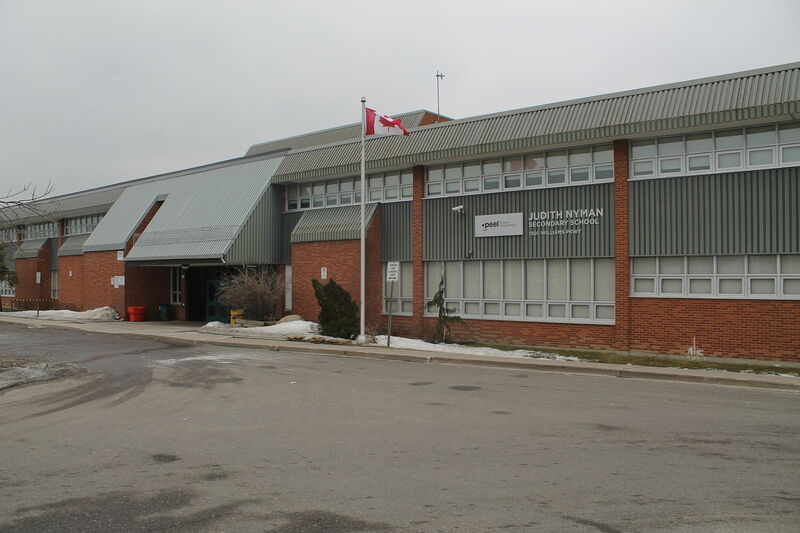 As I drove away it occurred to me, deeply, that I was brought to Judith Nyman Secondary School for a reason; to not so much be the teacher but rather, to really be the learner. And for that, I am grateful. You haven’t said why? The teachers and students at that school likely know why. But for those of us who haven’t been there, why? What did you see at this school that you haven’t seen anywhere else? Hi Ken. Thank you for responding. Judith Nyman is a Secondary School in Brampton that educates students with physical, cognitive and other challenges. As I wrote, most of my time is spent in what would be considered mainstream school environments where the day pretty much runs itself, albeit with the usual high school challenges; schedules are set, routines are followed and protocols dictate what comes next. I didn’t know what to expect at JN when the VP discussed with me the student community. What struck me, however, is that this community is so tightly knit around the virtues of love, patience, unconditional acceptance and compassion. Both from students and teachers, and other staff. Students I spoke with were warm and inquisitive to my work, in their own way. I’m not saying that this doesn’t exist in the mainstream. It does. But as one person from the Peel Board tweeted, it is a magical place. I believe that to be true. Thank you for the response Chris. After I posted my comment I re-read your article and picked up on some of that but what you have said here emphasizes it even more. I only wish I could occasionally get to experience something similar to seeing, hearing and feeling what you did – to help me continue to realize what is really important in life. It is so nice to hear that there is a place where those “less” fortunate than some of us are actually “more” fortunate than all of us. It would be a truly unique and incredible place that creates that kind of atmosphere. Thank you Chris for your insight and kind words regarding Judith Nyman. I’m very proud to say that one only needs to spend a short amount of time at our school to experience our kind, caring and dedicated staff members who make a difference with our students everyday recognizing the great potential that our students posses to rise above their challenges and experience success in school and in life! Thank you so much, Susan. I couldn’t have said it better. In my two hours at your school I experienced what you’ve described. It was a true privilege. It is with a thankful heart that I read your praise and appreciation of the staff you have at Judith Nyman. I know the dedication, love and commitment of these teachers first hand. My grandson is a student and I have seen his personal development, and attitude adjustment towards school change in the short time he has attended. The teachers are mentors, models, and moral compasses for these young people with difficulties to emulate and feel safe with. Unfortunately this is not the norm for students with their exceptionalities in all schools. At Judith Nyman they are accepted where they are in the learning scale and have the opportunity to develop at their own pace with challenges, rewards and without unreal expectations. This can happen only with dedicated, understanding adults as teachers and with administrators who understand the special needs of this special school. I look forward to watching my grandson mature and grow in this unique environment. Chris, once you have the opportunity to work with students in a vocational setting where people care deeply, it stays with you. Susan and her staff know that success looks different for every child and that we have to reach these kids at a different level, learning from adults who have the patience to teach as though these kids are our own.